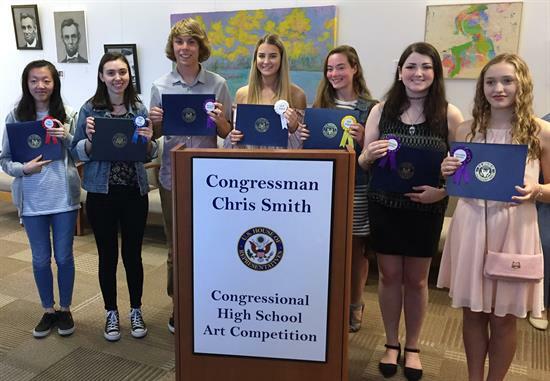 Each year I invite high school students from all around the Fourth District of New Jersey to compete in the annual Fourth District Congressional Art Competition (CAC), part of a nation-wide art venue sponsored by the Congressional Institute. Encouraged by art teachers and families, these ninth through twelfth graders must submit their original art in the hopes of being chosen for an honor that includes having their work displayed in the United States Capitol Complex along side other winning entries from across the nation for approximately one year. On Feb. 15, the Congressional Institute announced its 2019 guidelines, and briefed my staff on Feb. 22. 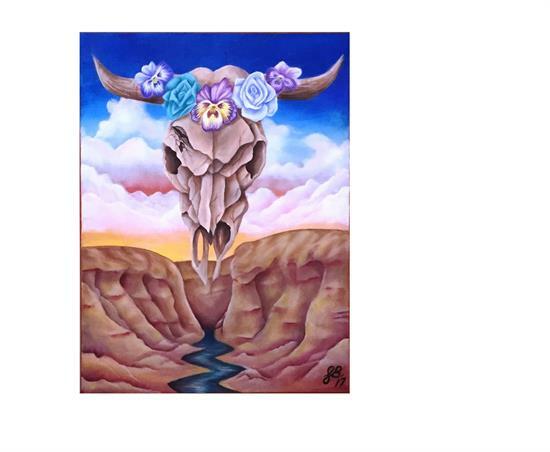 I encourage all aspiring high school-aged artists in my district, attending public school, private school or being home-schooled, to submit their entries for the 2019 competition. The venue location of the 2019 competition is again at Robert Wood Johnson University Hospital-Hamilton (RWJ-Hamilton). Intention to submit art work must be made by contacting my office by March 15. Art work can be dropped off April 1 at RWJ-Hamilton from noon to 6 p.m. (Check "NJ-04 Rules and Information" below for details). Judging will take place April 5. A reception to distribute Congressional Certificates to all participants and announce winners will be held the first week of May (participants will be notified). All works will be judged by professional artists. Returning to judge the 2019 show are Debbie Jencsik of Ocean County, N.J.; Jim Inzero, also of Ocean County, N.J., and; Rich Thompson formerly of Mercer County, N.J. Click here for a summary about the 2019 judges. 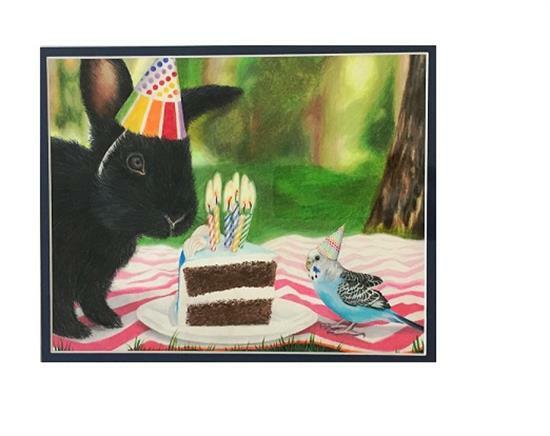 Once again this year, in coordination with the RWJ-Hamilton, I invited the judges to exhibit their own talented artwork. <> A Guide to Copyright and Plagiarism. <> Which towns are in the 4th Congressional District? Places are: Best of Show; 1st place runner up; 2nd place runner up; 3rd place runner up, and; Honorable Mention. The Best in Show entry goes to Washington, DC for one year to be displayed in the Capital Building Complex. 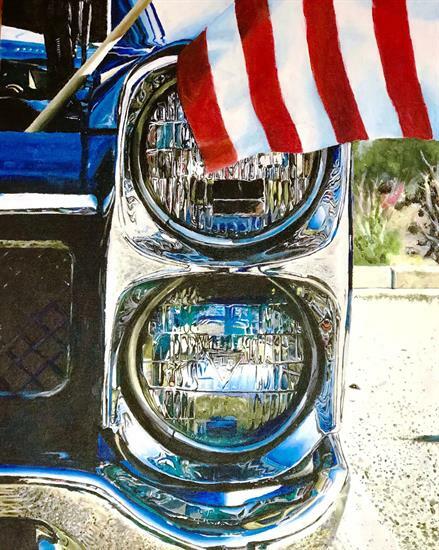 All artwork for the 2019 show will be displayed from April 2 through May 3 during normal hospital visiting hours from 8 a.m. to 8 p.m. in the Lakefront Art Gallery, located along the mezzanine above the cafeteria/gift shop area. Best access to the gallery can be through the main entrance of the hospital (near the U.S. flag pole). 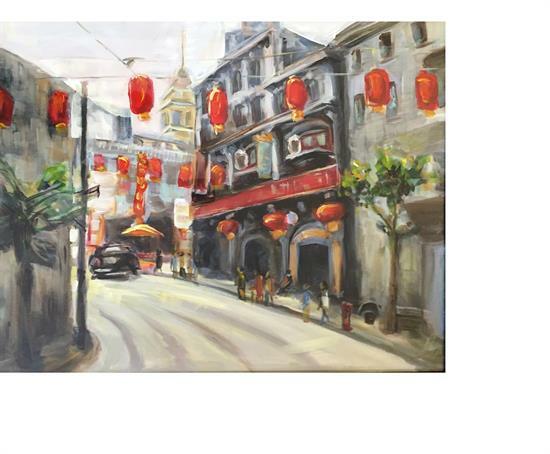 I would like to thank all of the outstanding and creative students and art teachers who participated in past contests. I would also like to thank Robert Wood Johnson University Hospital Hamilton in Mercer County (RWJ-Hamilton) for its hospitality in 2018 and again in 2019 (and thank Georgian Court University for hosting in past years). In particular I am appreciative of the strong support and assistance of RWJ-Hamilton President Richard Freeman and the RWJ- staff, and Lakefront Gallery Curator Sheila Geisler and her staff. Contact Jennifer Courtney at (609) 585-7878 for additional details. Scroll down below to view last year and previous years winning artwork. You can click here to watch a slide show of the 2018 winners and read the announcement of 2018 winners. 2018 WINNING STUDENTS – from left to right are: Honorable Mention winner Keon Cooper, 12th Grade, Hamilton High East (Steinert); Honorable Mention winner Gazal Mathur, 9th Grade, Robbinsville High School; Second Place Runner-up Kylie Frew, 10th Grade, Freehold Township Regional High School; Honorable Mention winner Sarah Fakult, 11th Grade, Freehold Township Regional High School; RWJ-Hamilton President Richard Freeman; Third Place Runner-up Brynna Fisher, 10th Grade, Princeton Day School; Honorable Mention-Photography winner Cece McCarthy, 12th Grade, Red Bank Regional High School; First Place Runner-up- Micayla Augustyn, 12th Grade, Wall High School; Best in Show winner Jordan Heine, 11th Grade, Wall High School, and; Rep. Chris Smith’s District Director, Jeff Sagnip. 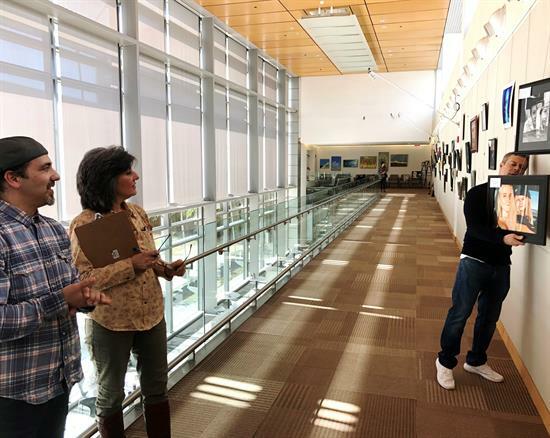 DEDICATED ARTISTS JUDGE CONTEST - The 2018 judges were Debbie Jencsik of Ocean County, N.J.; Jim Inzero, also of Ocean County, N.J., and; Rich Thompson of Mercer County, N.J. judging was on March 23.
shown in a national exhibit in Washington for one year. 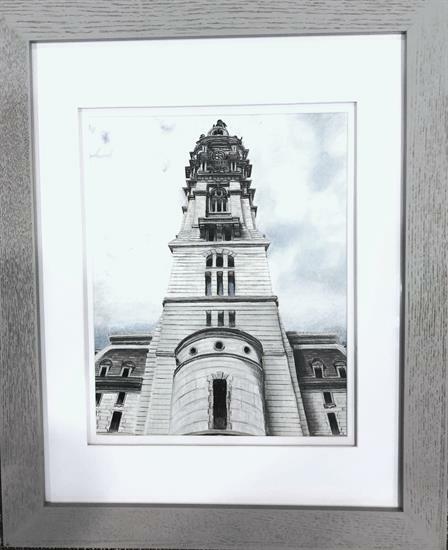 Second Place Runner Up was "City Hall," by Kylie Frew of Freehold NJ. 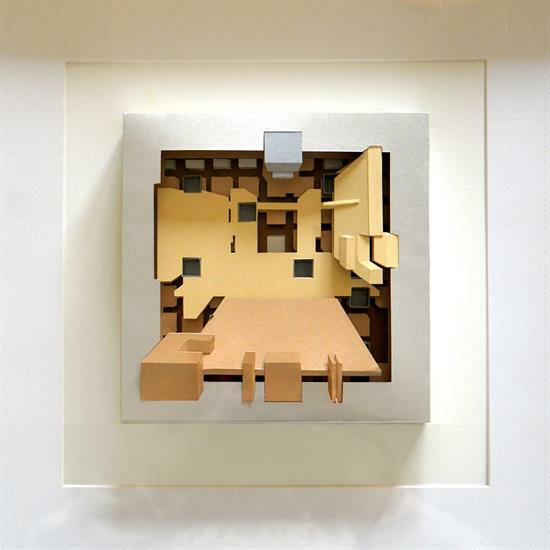 "Point of Construction" by Princeton Day School student Brynna Fisher of Hamilton, NJ won third place runner-up. 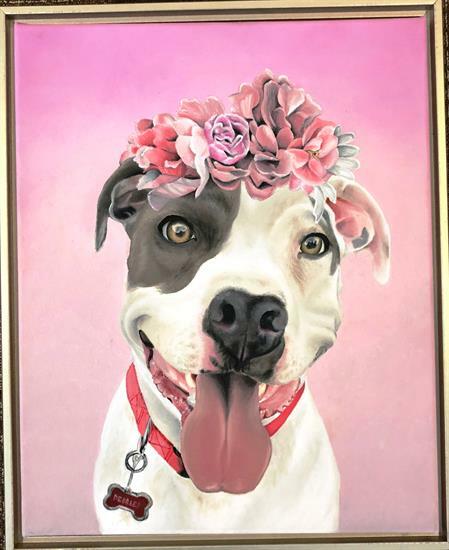 Flowers," by Sarah Fakult of Freehold, NJ. 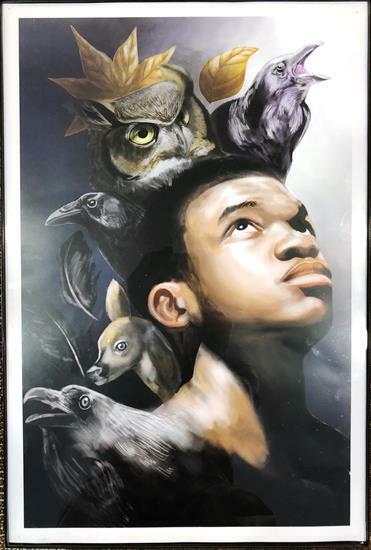 Judges gave an Honorable Mention to "Savion," by Keon Cooper. 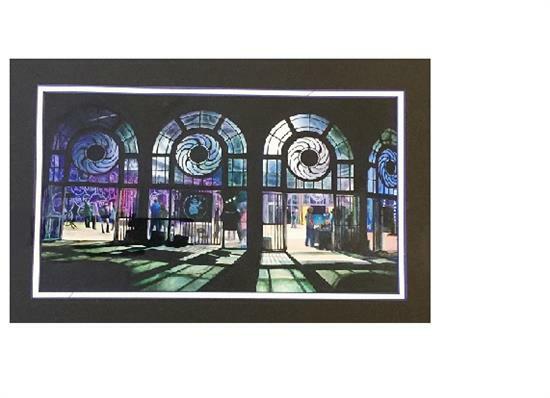 An Honorable Mention went to "Sky Light," by CeCe McCarthy of Red Bank, NJ. 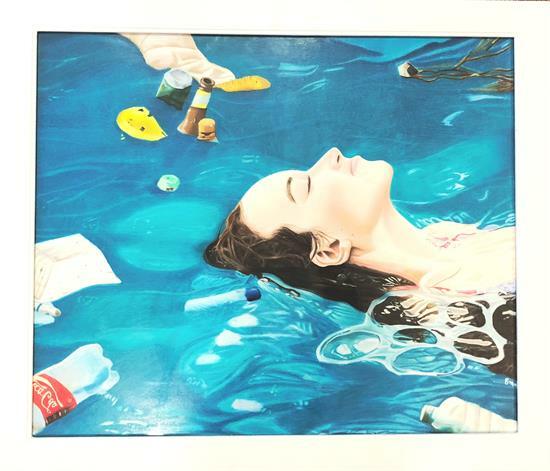 Judges awarded an Honorable Mention to Sea's Sick, by Gazal Mathur of Robbinsville, NJ. Borough High, and; Micayla Augustyn of Wall High. Click here to see the announcement of winners and Slide Show photos at the 2017 show. blue ribbon and a congressional certificate. Maglione of Wall High School. annual art competition. Linda attends High Tech High School. 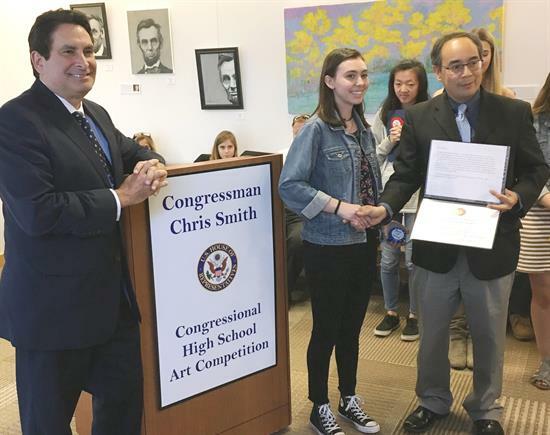 Runner-up at Rep. Smith's annual Congressional Art Competition. Borough High earned Honorable Mention. High School for his work Doughnuts. School earned an Honorable Mention. Click here to view all New Jersey winners. Click here to view all national winners. The process for submitting entries begins in February or March of each year. In 2017, the deadline to submit all artwork and accompanying required forms was April 18. All artwork was to brought to RWJ-Hamilton to be judged by professional artists. The 2017 judges were Debbie Jencsik of Ocean County, N.J.; Jim Inzero, also of Ocean County, N.J., and; Rich Thompson of Mercer County, N.J. Click here for a summary about the 2017 judges. For the first time, in coordination with the RWJ-Hamilton, I invited the judges to exhibit their own talented artwork. Click here to see the announcement of winners and photos at the 2016 show. Wall HS, and; Kaela Rogers, 12th Grade, Point Pleasant Borough High School. The First Place Runner-up for 2016 was Kaela Rogers, a 12th-Grader, at Point Pleasant Borough High School. Her work was entitled “Chilled” done in pencil. 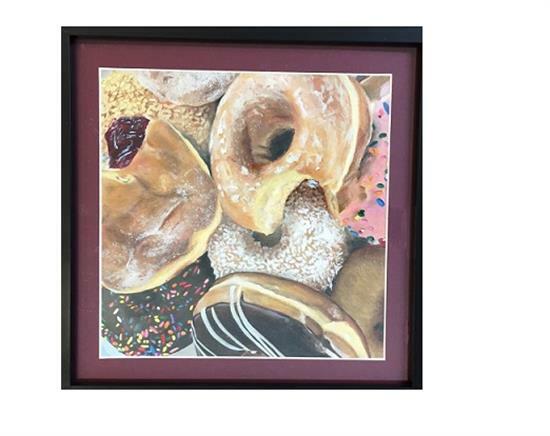 2016 Second Place Runner-up was Micayla Augustyn 10th Grade, Wall High School for her work "4 Piece Happy Meal" in colored pencil. Third Place Runner-up for 2016 was Nicolette Keale, a 12th-Grader at Wall High School, for her artwork "Bottle Still Life," in white charcoal. 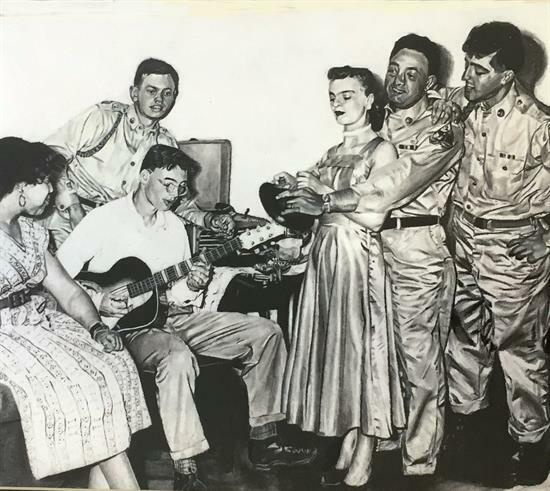 Honorable Mention was awarded to Taylor Cuozzo, an 11th Grader at Red Bank Regional High School Interior Space in ebony pencil. Dominique Trotte of Howell High School 12th Grade. of Wall High School, Grade 11.
of Freehold Twp High School, Grade 11.
of Wall High School, Grade 12. ABOVE: Best in Show, “The Understanding” by Artemis Tapliga of Wall, N.J. 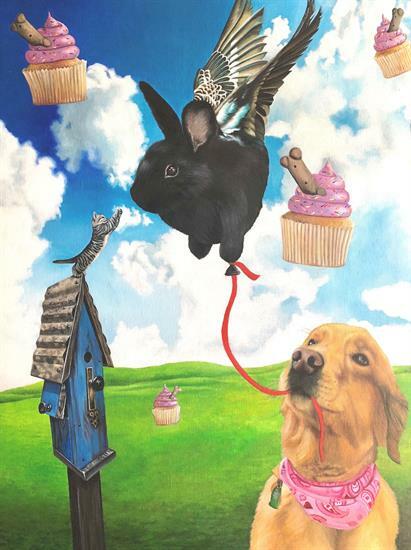 In 2013, the Best in Show winner was, Lucy Wang for her artwork "It's A Harsh World, My Dear," an acrylic painted piece submitted by the Holmdel High School 11th-grader. 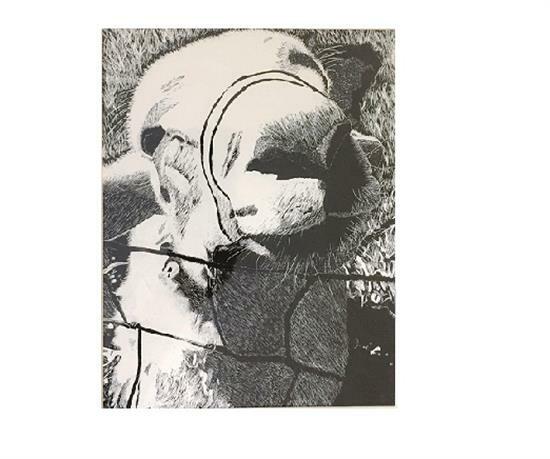 Other winners: 1st Place – “My Own Worst Enemy,” by Artemis Tapliga, of the 11th grade at Wall High School; 2nd Place – “Kleptomania” by Scott Chinery, of 12th grade at Red Bank Regional High School; 3rd Place – “Boots” by Chelsea Chinery, of the 11th grade at Rumson Fair Haven High School, and; Honorable Mention – “Jewel” by Nicole Sivetz, of the 10 grade at St. Rose High School. In 2012, 76 pieces from nine high schools and one home schooled student participated from seven public high school, one Catholic and one private for Special Education students. 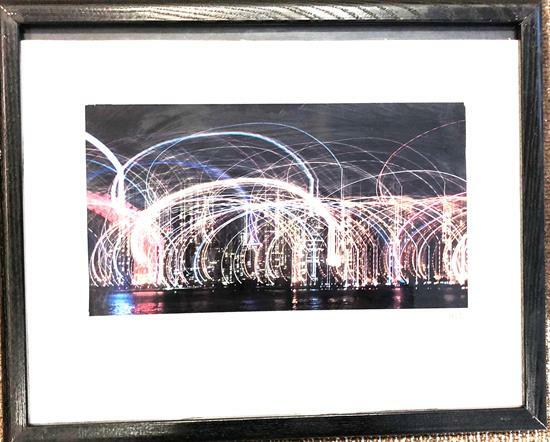 Honorable Mention – Michael Read “Reflection” photograph – Manasquan High School – 12th grade. The 2011 winners were: Best in Show, “Runaway,” Artemis Tapliga, 9th Grade, Wall High School; 1st Place, “Beyond the Eyes of Autism,” Kerrie Hannen, 12th Grade, Colts Neck High School; 2nd Place, “Zeitgeist”, Larissa Naegele, 11th Grade, Wall High School; 3rd Place, “Louie”, Marissa Priolo, 11th Grade, Wall High School; Honorable Mention, “Spring Lake”, Samantha White, 12th Grade, The Rugby School at Woodfield. The 2010 winners were: Best in Show, Alexis Clark, 12th grade student at Wall High School, for "Tree House" in pencil; 1st Place, Heather Ehlert, 10th grade student at Wall High School, for "My Brother Colin" in pencil; 2nd Place, Victor Cortes, 11th grade student at Freehold High School, for "Still Life with Skulls" oil on canvas; 3rd Place, Alexis Papazoglou, 12th grade student at Freehold High School, for "Bathroom" oil on canvas, and; Honorable Mention, Larissa Naegele, 10th grade student at Wall High School, for "This is Not a Photo" in pencil. The 2009 winners were: Best in Show, Mona Cao, eleventh grade at Freehold Township High School, for “Clasped Hands,” in colored pencil or paper category; First Place, Amy Borch, twelth grade at Howell High School, for “In the Balance,” in acrylic on canvas category; Second Place, Erin Loelius, twelth grade at Wall Township High School, for “Lips,” acrylic; Third Place, Perry Santulli, twelth grade at Wall Township High School, for “Space Odyssey,” pencil category, and; Honorable Mention, Larissa Naegele, ninth grade at Wall Township High School, for “Flower Child,” pencil category. The top prize in 2008 – best in show – went to Caitlin McCarthy, of Wall Township for her winning entry, “500 Starbucks Later.” First place went to Danielle Sobol of Wall Township for her entry, “Times Square.” For winning the first place prize, Danielle is also eligible for a scholarship opportunity from Georgian Court University. Other winners in the 2008 competition include Jolie Menzel of Point Pleasant, Sabrina Hayes of Point Pleasant and Mary Fenton of Wall Township.